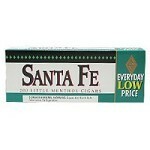 This neat little machine made cigar is well known by budget-conscious smokers and available in various flavor styles. 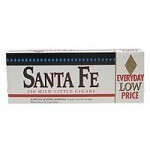 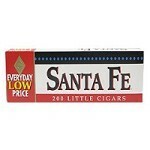 Santa Fe small filtered cigars will save you both time and money when a significant smoke break is just not possible. Conveniently packed and ready to enjoyâ€¦ and no cigar cutter required. 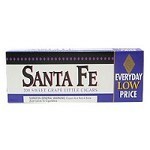 Santa Fe filtered cigars comes in 6 different flavors, Regular, Mild, Menthol, Grape, Peach, and Strawberry.